If you want flexible lighting that allows you to point, add, and move your lighting fixtures as you please, you should take a closer look at Monorail lighting. Read on to learn more about why Monorail lighting is one of the most popular forms of modern lighting in San Jose . Unlike track lighting, which is always straight and fairly simple, Monorail lighting is hand-bendable. This allows you to make any shape you like out of the lighting fixture and place the lights anywhere along the rail. Because Monorail lighting oftentimes runs on 12 volts, you will probably need a transformer. Wright Lighting and Fireside can plan, design, and install a low-voltage Monorail lighting system and transformer for you. We have a wide variety of directions fixtures and pendants in many sizes and glass shades. Attractive Monorail lighting can be used in the kitchen, dining room table, the bedroom, and even outdoors. Lighting comes in many different styles and shades that blend in well with your existing décor. But if you want your lighting fixtures in San Jose to be a design expression all on its own, modern lighting is essential. Whether you want a light fixture for the kitchen, bathroom, bedroom, or outdoors, Wright Lighting and Fireside has what you need. Here are some modern lighting ideas to get you started. Chandeliers, one of the most common types of hanging lights, are often thought of as classic or vintage. But one of the big drawbacks of chandeliers is that they leave a large shadow. To create a more pleasant atmosphere, install a stylish modern chandelier or hanging light that creates little or no shadow. Low-voltage accent lighting is a fantastic way to elevate the ambience of a room while using very little energy. Modern accent lighting looks especially attractive when it is mounted on the wall or on a frame. This provides attractive white light on the surface of the painting or photographs. Accent lights are also attractive near the fireplace or even on their own. Add a series of small wall lights for an attractive modern touch. People oftentimes mistakenly think that the entire room needs to be well lit. Instead, it’s better to have layers of light at multiple points in the room. Having the right lampshade or installing low-voltage lighting is a great way to diffuse intense lighting. We also recommend installing a dimmer, especially in a multipurpose room. This gives you the flexibility to adjust the lighting depending on daylight and mood. Dimmers also save a great deal of energy—just be sure to have them professionally installed. 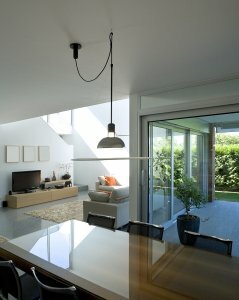 Modern lighting must have the proper bulbs, or you risk taking away from the form and function of the light fixture. Avoid fluorescent tubes, in favor of LED light bulbs or compact fluorescent light bulbs. Lighting does more than just provide a function—it is also a way to boost the style of your home. In particular, recessed lighting in San Jose can elevate the look of any room in your home by highlighting artwork, furniture, or seating areas. At Wright Lighting and Fireside, we install a wide range of indoor and outdoor lighting, and we are happy to place and install your lighting for you. There are no hard and fast rules for where you can and cannot place the lighting. Many people enjoy recessed lighting in the hallway, kitchen, and pass-throughs. Learn more about placing your recessed lights by watching this video. Your lighting in San Jose may come from several different sources; you may make use of natural lighting through your windows, bathroom lighting on top of your vanity, or outdoor lights that illuminate the exterior of your home. Ceiling fans can be combined with lighting to provide your home with a functional appliance that also offers a unique aesthetic appeal. 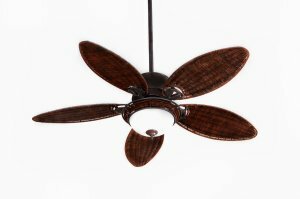 Continue reading if you are interested in learning all about ceiling fans . Does a particular room in your home seem to get stuffy all of the time? Are you looking for an efficient way to cool down without an air conditioner? Ceiling fans can instantly get your air circulating around your space, providing you with some much needed relief from heat and stuffiness. They are available in a wide array of colors, materials, designs, and styles; this means that you may find a number of options that fit your living space. You can also combine your ceiling fans with lighting to add an additional light source to your home. You may be looking for modern and contemporary ceiling fans, more elegant and traditional ceiling fans, or ceiling fans for your outdoor space; all of these options can be used to improve your home’s dynamic.